In the following Voices.Earth podcast interview, Gideon Fung, Founder of the Empower Project, discusses his vision for transforming e-commerce for social good, as well as why he chose to use a .Earth domain name for his organization. 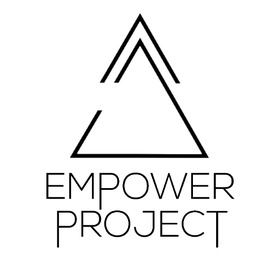 As a “conscious e-commerce” platform, the Empower Project Marketplace connects skilled artisans in developing countries with the global marketplace. The site offers ethical jewelry and sustainable fashion with the aim of helping to alleviate poverty through the empowerment of the individual artisans and small- to medium-size enterprises. The Empower Project chose to use a .Earth domain name because it helps to showcase how this e-commerce platform is aligned with tackling social problems and saving the planet. For more information, please check out EmpowerProject.Earth here. If your organization wants to take a page from the Empower Project, don’t miss out on the opportunity to secure your own .Earth domain name! Running through May 31st, our registrar partners are offering special pricing for one-year registrations of standard .Earth domain names starting at $8.90 USD.Click here to take advantage of this special offer.